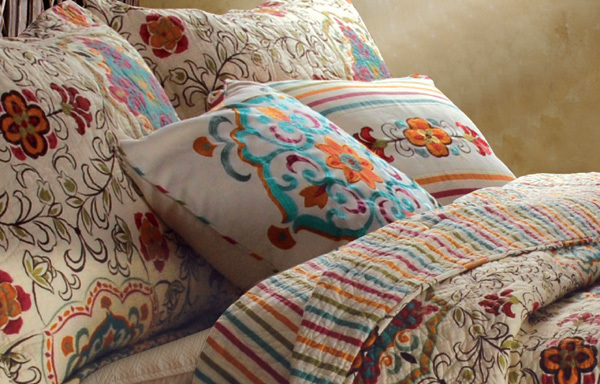 Coordinating pillows in exotic spice designs. Sold as a set of two pillows. Fill pillow included.